Both Elkagorasa and Esha have gone through Highmaul as DPS a couple times now. Esha is at that point where it's probably time to watch a 'tanking' Highmaul LFR. If in stands from chain hurl, (on heroic), face 'crowd away from raiders. 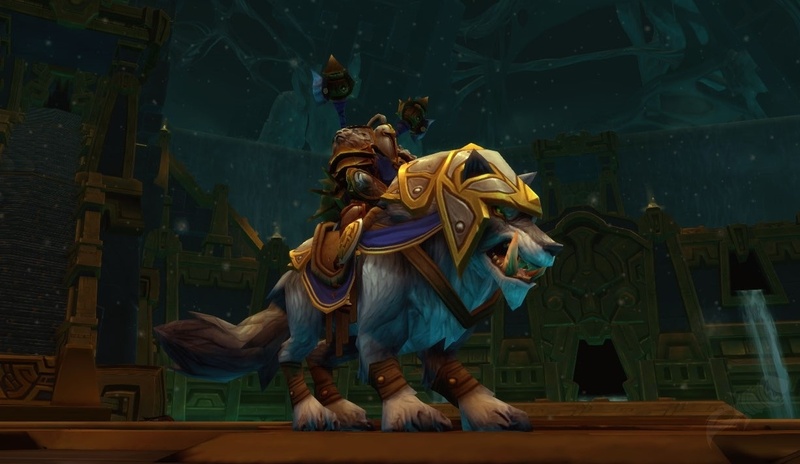 Elkagorasa had the two-handed staff drop this week of Mar'gok, so he's now checking the 'LFG' tab and to throw his hat in for a normal raid DPS slot. Last Friday, I ran once through ICC and got 9 (out of 12) boss achievements done without any issue. There was never any issue with any of the bosses (troll racial healing + very low dps from level 72 bosses). In fact to get the remaining achievements, I think I am going to have to walk away from the keyboard and do nothing for awhile. Full House requires you to have 5 different mobs alive when you kill the boss. I waited around until I had around 7 adds in my fight. I looked like a good mix. Unfortunately while killing the boss, I did an AOE swipe and killed 2 off of the same type.. Sigh. Next time, either kite the boss, or let MORE spawn..
Once Bitten, Twice Shy requires two runs. Once where you kill the Blood-Queen without being bitten, once while bitten. I've gotten the "without" kill. This got me thinking of trying to solo Ulduar. Someone mentioned installing the 'RaidAchievement' add-on. 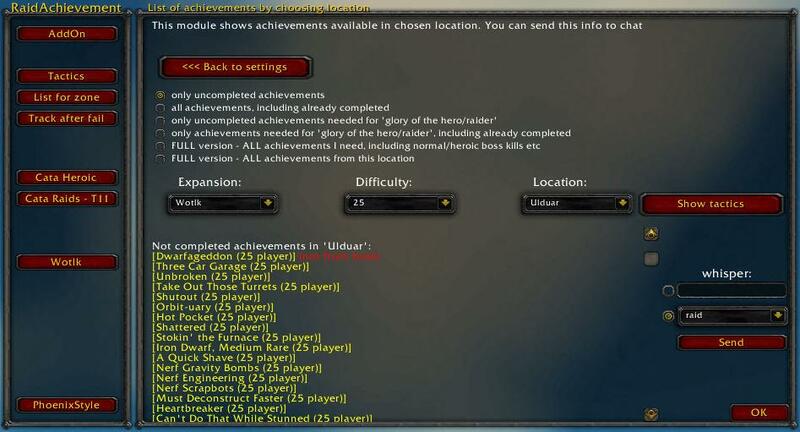 This addon helps you track all the achievements that you've still have to complete. (Check out the developer's site) and if you install the companion add-on, it will give strategy on completing them. I'll check it out next time I am online..